ARE YOU THE BEST OF THE BEST IN GEVA? GEVA USA High Performance is the sole Sanctioned USA Volleyball Indoor High Performance Program in the GEVA Region. The Program allows our region to train and compete under the USA Volleyball National HP Program umbrella. We duplicate the programs, training, and concepts athletes from across the nation can receive if they make a USA Volleyball National Program camp or team. The Mission of the Garden Empire Volleyball Association (GEVA) Regional HP Program is to provide additional and unique development opportunities for the Region’s Elite Junior Volleyball Athletes as well as to the Region’s Elite and Aspiring Volleyball Coaches. 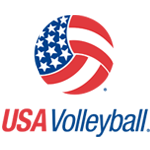 We operate in full compliance with the USA Volleyball National Team Athlete Development Philosophy. Coaches are selected through an open application process. Athletes are selected through a multi-tiered competitive selection process in compliance with USA Volleyball National Team Development Standards. There are NO restrictions on the number of Coaches or Athletes allowed participating from any given Team, Club, School or other Organization. The Program has NO Team, Club, Organizational Alliances or Affiliations other than the Garden Empire Volleyball Association (GEVA) and The National High Performance Championships. 1. Check made out for the tryout amount to GEVA. One tryout for $60 or two for $90. Throughout my life I have had many experiences that will be remembered for the rest of my life, although a few in particular stand above the rest. These few events truly changed my outlook on the world and recreated my expectations for myself. One of these events was playing for GEVA in the 2018 high performance championships. By playing for GEVA High Performance, I was given the opportunity not only to travel to Tulsa, Oklahoma with nine talented volleyball players and four amazing coaches but to play high level volleyball for five days and ultimately come in fourth place out of the twenty teams in the national division of my age group. This experience created an opportunity for me to make new friends, get training from a variety of highly experienced coaches, travel across the country, and most importantly become a much better more well rounded volleyball player. In addition to meeting and playing against many different volleyball players around the country, through this program I was given the opportunity to spend time and trade clothes with a large group of girls from Australia, some of which I remain in contact with. This program created opportunities for me beyond what I believed I would ever have the possibility to do and for that, I am extremely grateful. Playing for GEVA high performance this year truly was one of the best experiences of my life, and it is a memory that I will never forget.